When calling the hotel to make your reservation, please remember to identify yourself as an attendee of AAAL 2019 Spring Meeting and mention our group code: GAAAL. Hotel reservations are on a first-come, first-served basis until Wednesday, March 20, 2019, or until the block has sold out. AAAL cannot guarantee the group rate if rooms are still available in the AAAL block after Wednesday, March 20, 2019. As Philadelphia’s favorite luxury hotel, The Logan offers guests a truly authentic experience in the heart of the downtown’s vibrant cultural district. Find where comfort and convenience meet cosmopolitan sophistication, where authenticity and local experiences reign supreme. 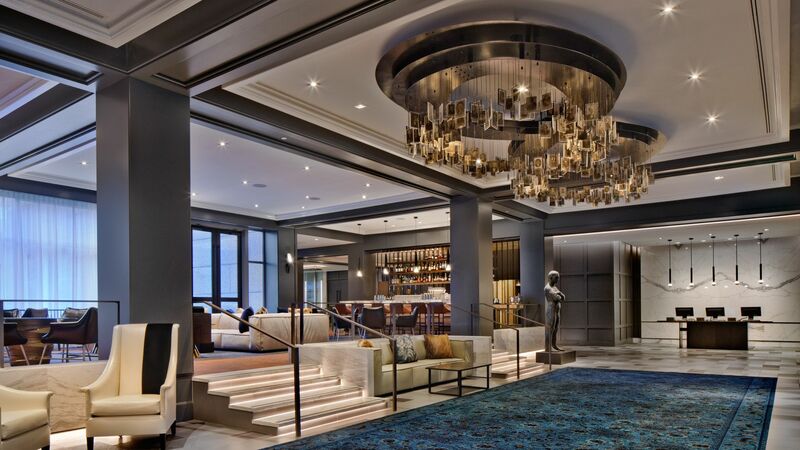 Get to know the true soul of the city at The Logan, Philadelphia’s Hotel. View suggested things to do in Philadelphia. Philadelphia International Airport is 9.6 miles (21 minutes) to The Logan Philadelphia. has partnered with AAAL and is offering discounted airfare to all attendees. When booking online at www.united.com, use Offer Code ZFSG703873. The temperature in Philadelphia in April averages in the low 60s during the day and low 40s at night.